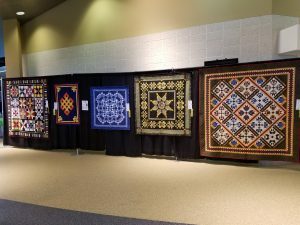 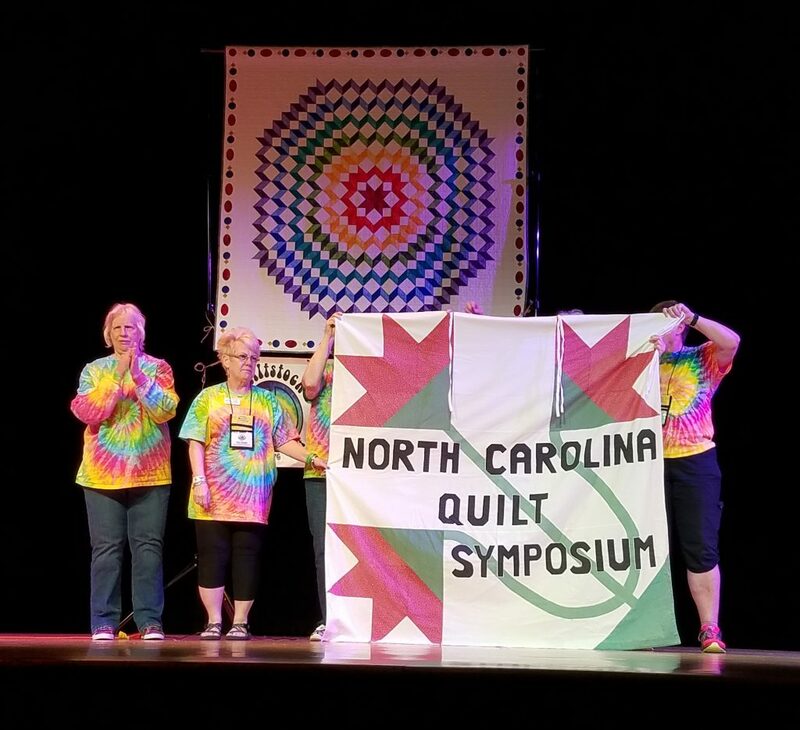 On my recent trip to the Asheville area to teach at the North Carolina Quilt Symposium, I stayed an extra three days to explore the area. 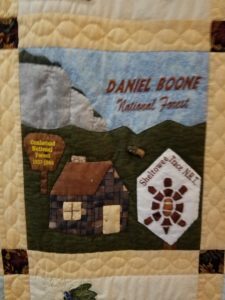 I headed southwest to the Pisgah National Forest and saw this beautiful hand appliqued and hand quilted quilt hanging at one of the park information centers. 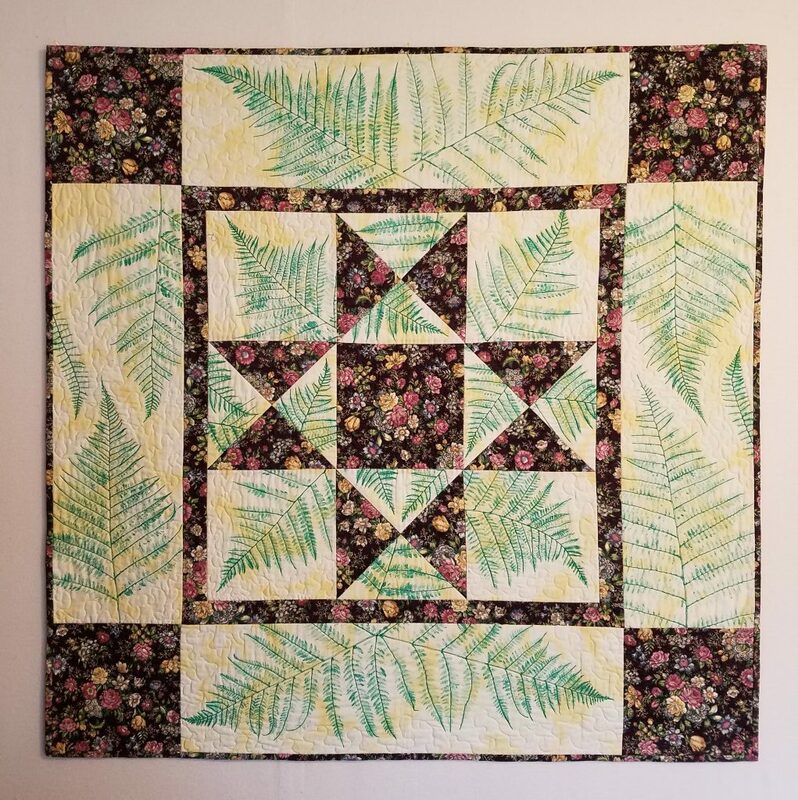 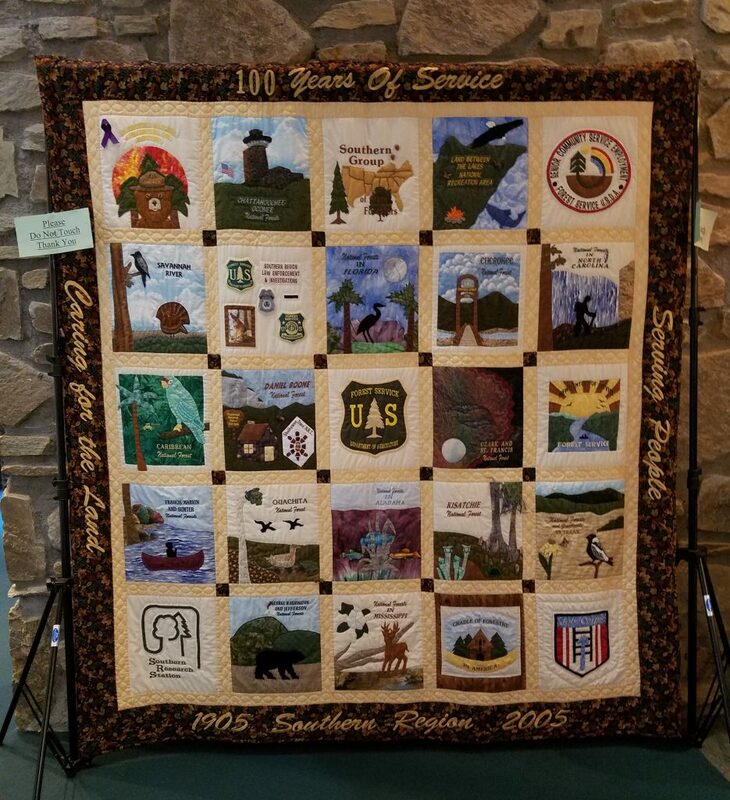 As you can see from the legends in the borders, the quilt was made in 2005 to celebrate 100 years of service caring for the land in the Southern Region. 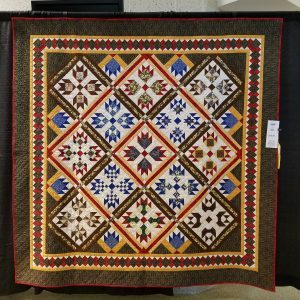 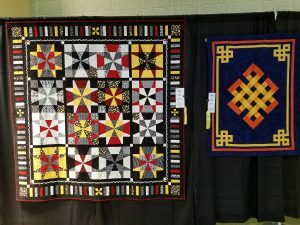 Each of the southern states from the east coast to as far west as Texas provided quilt blocks representing their area. 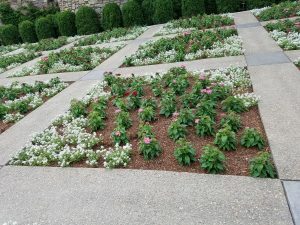 Here are some detailed shots. 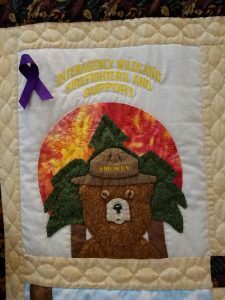 There is a map showing the states which are part of this Southern Region, and on the right, a block from the Interagency Wildland Firefighters and Support group depicting Smokey the Bear. 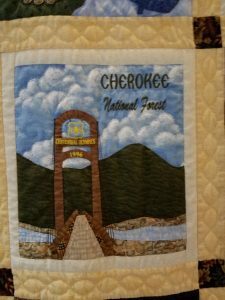 Here the blocks from the Cherokee National Forest and the Daniel Boone National Forest. 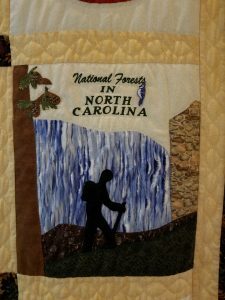 The block for North Carolina depicts a hiker silhouetted with a waterfall behind. 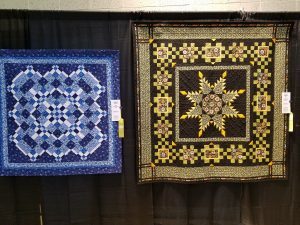 The picture on the right is of Looking Glass Falls which is just a few miles down the road from the Center where the quilt is hanging. 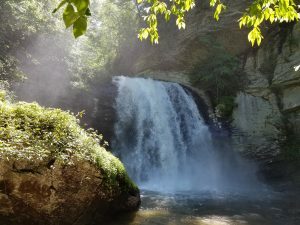 The waterfalls were spectacular and very swollen. 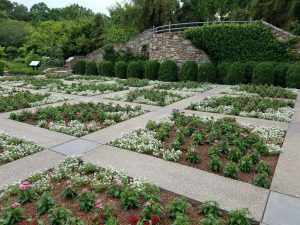 The locals enthused that they had never seen so much water gushing. 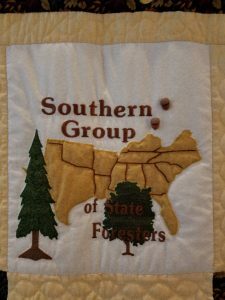 The area had over 20″ of rain in a two week period just before I arrived. 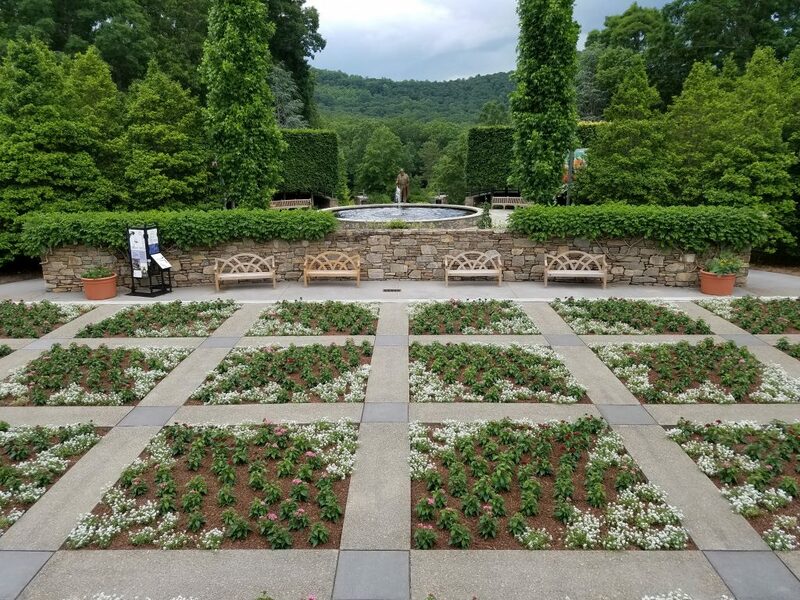 I was blessed with three clear sunny days to explore the Pisgah National Forest and the Blue Ridge Parkway and experience the glorious natural beauty there.